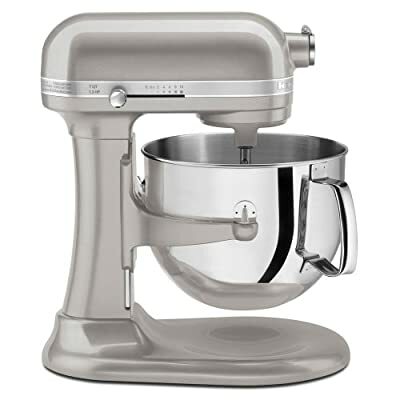 KitchenAid ® Pro Line ® Series 7-Qt Bowl Lift Stand Mixer KitchenAid ® Pro Line ® Series 7-Qt Bowl Lift Stand Mixer with 1.3 HP Motor ¹ *. This robust motor, the foundation of our new mixer, delivers.44 HP to the bowl enabling your mixer to deliver consistent power to little and large loads with less heat build-up; resulting in years of reputable blending. When combined with and assisted by our new innovative motor control board, this is our longest enduring and most effective motor. * Motor horse power for our mixer motors was measured utilizing a dynamometer, a device labs consistently use to measure the mechanical power of motors. 10-speed slide control. 10-speed slide control ranges from a really quick whip to a really sluggish stir. Consisted of Accessories. Includes PowerkneadTM Spiral Dough Hook, Flat Beater, and Stainless Steel Wire Whip. Holds, Mixes/Kneads 14 Dozen Cookies. Manages Small and Large Jobs Equally Well. All-Metal Construction. Direct Drive Transmission, All-Steel Gears, and All-Metal Construction. Multipurpose Attachment Hub with Hinged Hub Cover. 5-Year Hassle Free, Limited Warranty. Professional bowl-lift Professional bowl-lift design raises bowl into mixing position 7-Qt. Stainless Steel Bowl The 7-Qt stainless steel bowl offers our largest capacity residential KitchenAid® Stand Mixer-enough to efficiently mix dough for up to 14 dozen cookies. The stainless steel bowl is dishwasher-safe for effortless cleanup. Largest Capacity Residential Bowl-Lift Stand Mixer Largest Capacity Residential Bowl-Lift Stand Mixer Available as of (Summer 2011) 1.3 HP High Efficiency DC Motor 1.3 HP High Efficiency DC Motor is designed to run longer , delivering optimum torque with less heat build-up. 16-Cup Flour Power Capacity Bowl designed for a capacity of up to 16 cups of flour in a single batch.